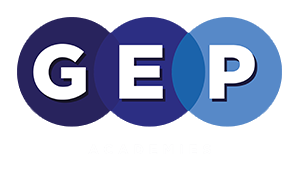 I am delighted to have been appointed as the interim Chief Executive of Guildford Education Partnership (GEP Academies) for the 2018/19 academic year. The opportunity to lead the executive team of GEP Academies is very exciting and one that I am looking forward to enormously. The Guildford Education Partnership comprises Boxgrove, Fullbrook, George Abbot, Guildford Grove, Kings College, Loseley Fields and Sandfield Schools together with George Abbot Teaching School and George Abbot SCITT (School Centred Initial Teacher Training). My career in education began as a secondary geography teacher in the London Borough of Ealing and I subsequently taught at schools in Hertfordshire, Surrey (Therfield School in Leatherhead) and Devon followed by 8 years as a secondary headteacher in Herefordshire. This led on to me being appointed as a Senior Education Adviser and then Senior Civil Servant in Westminster where I worked on school improvement policy and the development of qualifications. Following this I was Schools Director in the Welsh Government and since 2013 I have led two national Multi Academy Trusts before taking on this role at GEP. I am looking forward to working with the heads and the staff in their schools, my executive team and the trust board as we continue to develop the work of the Multi Academy Trust, the Teaching School and the SCITT for the benefit of the children, pupils and students in our care.